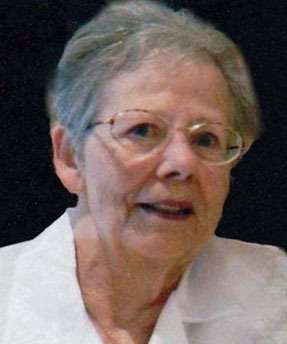 Obituary for Carol Kay (Zinn) Robbins | Langeland Family Funeral Homes, Inc.
Mackinaw City, MI to the late Wayland and Nellie (Royce) Zinn. Carol was united in marriage to Robert E. Robbins on November 23, 1968. Carol retired from WMU. After retirement, she and Bob enjoyed traveling, taking cruises, and finding new casinos. She also enjoyed reading, doing sudoku, and spending time with her family. Carol is survived by her husband, Robert; daughter, Debbie (Barry) Price; sisters-in-law, Yvonne Richards and Helen Newton; brother-in-law, Harry Taylor; and many nieces and nephews. At the family's request, cremation has taken place. Carol's life will be celebrated on Wednesday, April 17th from 5:30 - 7:00pm at Park Place Assisted Living, in the activity room, 4222 S Westnedge Ave, Kalamazoo, MI 49008. Arrangements by Langeland Family Funeral Homes, Memorial Chapel, 622 S. Burdick St. Memorial donations in Carol's name may be directed to Southern Care Hospice Services, 1911 W. Centre Ave., Suite 1, Portage, MI 49024 or to a charity of your choice.